REGISTRATION: ONLINE REGISTRATION IS OPEN TILL OCTOBER 2nd. You must be a CBA member to attend. Kids under 12 are free. Youths over that age must register as a Family Member. We need to know how many kids are coming, so please list how many kids under 12 are coming. 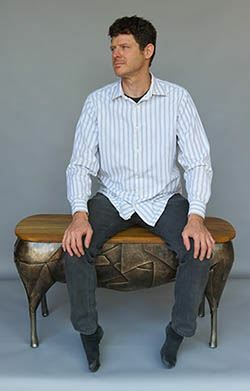 John Rais has BFA in Sculpture from Massachusetts College of Art and received an MFA in Metalsmithing from Cranbrook Academy of Art, in Bloomﬁeld Hills Michigan. 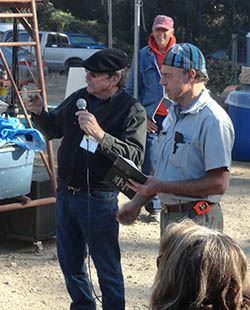 After Graduate school, he was Department Head of Blacksmithing at Peters Valley Craft Education Center in Layton, New Jersey. 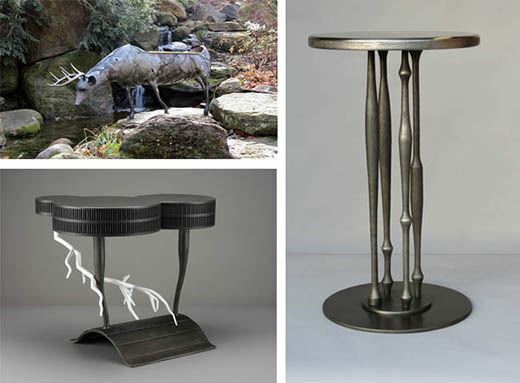 John has operated his own studio business since 1998, where he designs and creates one of a kind furniture, sculpture and architectural metal art. His work is shown, commissioned and collected internationally. He has had solo shows at places including Purchase College, The National Ornamental Metals Museum, and Massimo Bizzocchi NYC. He has designed and created works for many architecturally signiﬁcant buildings including a Frank Lloyd Wright home, Louis Kahn home, Addison Mizner home, and many others. His work is regularly featured in various publications including American Craft, Departures, Ritz Carlton, and a cover article in Metalsmith Magazine, as well as many books. John has taught at many universities and schools such as SUNY Purchase, SUNY New Paltz, University of The Arts and Penland School of Craft. He lectures on his work and applied design throughout the U.S. He was awarded an Arts/Industry Residency at The John Michael Kohler Arts Center. In 2007 he was a Windgate Artist in Residence in applied design at SUNY Purchase. 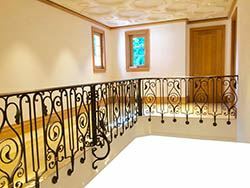 In 2012, John Installed a large series of decorative panels for the main staircase at Yale University Art Galleries. This project was a museum acquisition for their permanent collection. The following year, he moved to Philadelphia, Pennsylvania, where he has grown his studio to include typically several elite metal artists who come from all parts of the country to work for him. Most recently, John was hired to design nearly all of the metalwork for a massive renovation project for a famous Addison Mizner Home in Palm Beach Florida. He is always busy with commissioned work as well as new speculative pieces that continue to be shown and collected internationally. He is featured in the new book Cast: Art and Objects Using Humanity’s Most Transformational Process.